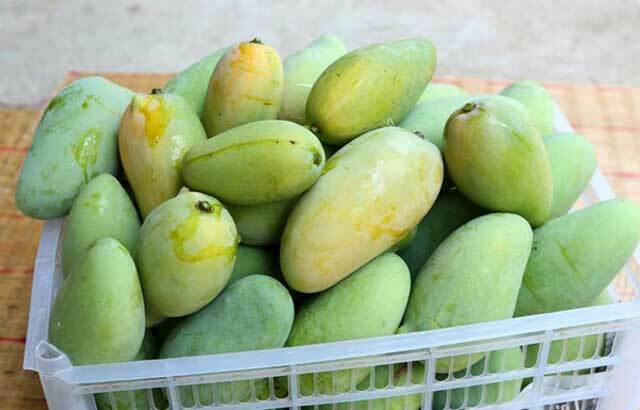 How to Ripen Green Mangoes At Home – During the mango season is very much green mango found everywhere. Either in the shop or on the tree. Many those who can not tolerate the taste of mango so that they pick them before ripe. The next step is ripe them at home. Ripen the Green mango at home more quickly than waiting for the ripe in the tree. One way to ripen mangoes at home is by pick a half-ripe mango or existing yellow sign. This mango will ripen if matured, unlike the case with mango that has not shown signs of ripe, like green mangoes that still young. If you find a yellow sign on mangoes, ripened immediately or put in a particular place and wait for the ripe. Here are some easy ways to ripen mangoes at home, make sure you know! How to ripen mangoes at home with the help of apples? Did you know that apples emit ethylene gas that can assist the process of ripening mango quickly. So save mango along with some apples somewhere. Ripe mangoes with the help od Apple is the best way that you should try. Some say that the store a ripe mango with green mango can help the maturity will accelerate. You believe? Please try! The next tips! How to ripen green mangoes by putting it in a dark place. Wrap in plastic after covering with tissue. It will help the process of ripening mangoes faster. Thus, How to ripen green mangoes naturally without using karbet or chemicals. Enjoy the sweet mango!